A DOT study apparently has failed to “explicitly identify a net benefit” from two suspended provisions of the hours of service rules regarding the 34-hour restart. The Federal Motor Carrier Safety Administration issued hours-of-service regulations in 2013 that featured two controversial restart provisions. They required that the 34-hour restart include two 1 a.m. to 5 a.m. periods, even if the 34 hours had already been reached. It also limited use of the restart provision to once every 168 hours. The trucking industry raised concerns about the rule’s unintended consequences, such as increased congestion during daytime traffic hours. In late 2014, as part of the Consolidated and Further Continuing Appropriations Act of 2015, Congress suspended those two provisions and directed FMCSA to conduct a study of the operational, safety, health, and fatigue impacts of these rules. Although the data collection for that study was completed in 2015, the study has not yet been made public. But a DOT spokesperson told HDT on March 6 that "we are currently in the final stages of review before transmitting the report to Congress." Drivers from a variety of fleet sizes and operations provided a substantial amount of data during the study period, according to FMCSA. More than 220 drivers contributed data as they drove their normal routes. 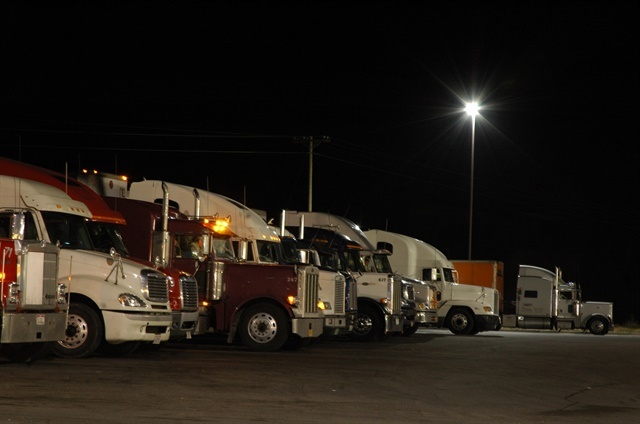 The data included over 3,000 driver duty cycles captured by electronic logging devices, over 75,000 driver alertness tests, and more than 22,000 days of driver sleep data. American Trucking Associations President and CEO Chris Spear said the trucking industry was pleased by the news. "The release of this report closes what has been a long, and unnecessary, chapter in our industry's drive to improve highway safety," Spear said. "We knew from the beginning that these Obama administration restrictions provided no benefit to safety, and in light of the DOT's findings – corroborated by the DOT Inspector General – it is good for our industry and for the motoring public that they will be done away with permanently as specified by language ATA lead the charge on including in the most recently passed Continuing Resolution." ATA has fought against these restrictions – which limited drivers' flexibility in the use of the restart – since they were first proposed in 2013. "Congress repeatedly told the Federal Motor Carrier Safety Administration that rules of this nature must show a benefit to safety and this report clearly shows there was no benefit," Spear said. "This marks the end of a long struggle, but hopefully the beginning of a new era of inclusive and data-based regulation." “The OIG’s assessment of the restart study supports what the industry has been saying all along, that requiring two consecutive periods of 1-5 a.m. and limiting the restart to once a week didn't contain any net benefit to the industry,” David Heller, the Truckload Carriers Association’s vice president of government affairs told HDT. Joe Rajkovacz, director of governmental affairs and communications for the Western States Trucking Association, told HDT that the group also was "not really surprised by the finding and don’t think many others are in trucking, either. "The whole issue of the 34-hour restart provision had been politicized in our opinion," he added, "and it's nice to see a government agency actually use science appropriately to arrive at the correct result-– it's just too bad they sat on the findings for so long." The Teamsters union has come out strongly against the report’s conclusion, contending that DOT “fails to recognize the benefit of well-rested truckers” to overall highway safety. Hoffa added that the “consequences of curtailing rest breaks could be quite real. Already, nearly 4,000 lives are claimed each year on U.S. highways in accidents involving tractor-trailers. And in the most recent available numbers from 2013, 97% of vehicle occupants killed in two-vehicle crashes involving a passenger vehicle and a large truck were occupants of passenger vehicles."